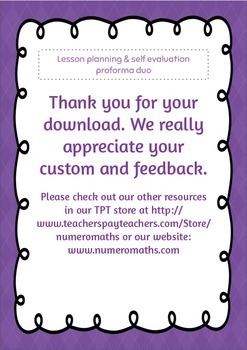 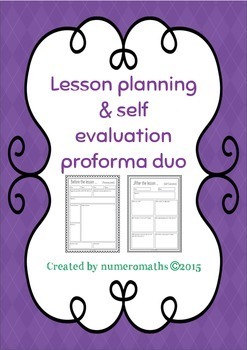 1 sheet lesson planning proforma. 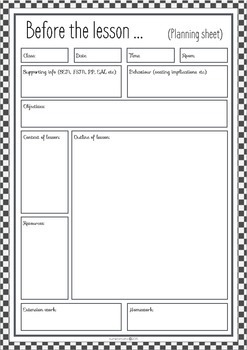 1 sheet self evaluation proforma. 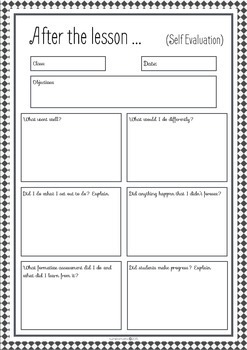 Non subject or grade specific.